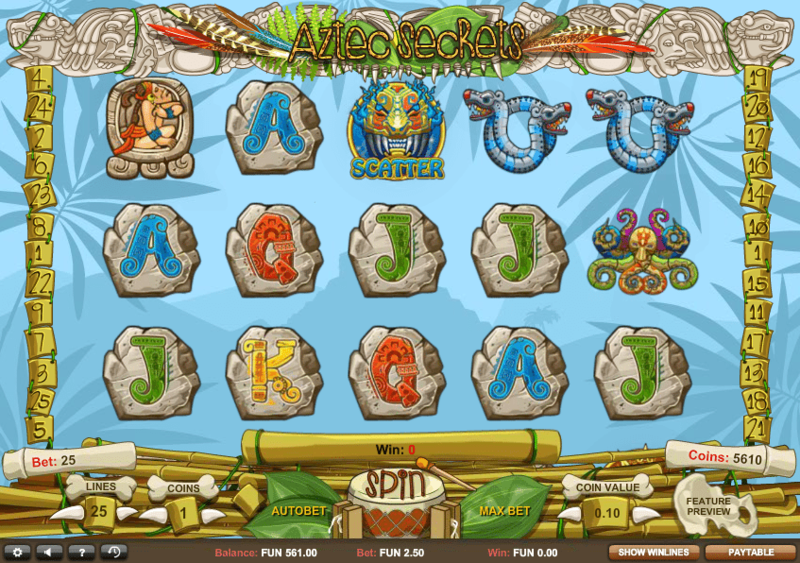 Aztec culture is a big theme for many play slots titles, and with good reason. Some of the things that immediately come to mind when one thinks about these nomadic tribes they immediately think gold and pristine. Hence we have this slot from developers 1x2 Gaming titled: Aztec Secrets. Although the Aztecs were overthrown by the Spanish in the 16th century, we still talk about them to this day, documenting many of their achievements in hieroglyphics and living like kings and queens in their own right. Secrets are plentiful in this slot as you’d expect from the appropriated title. Players who have yet to try a slot like this will be presently surprised by the attention to detail at play here. 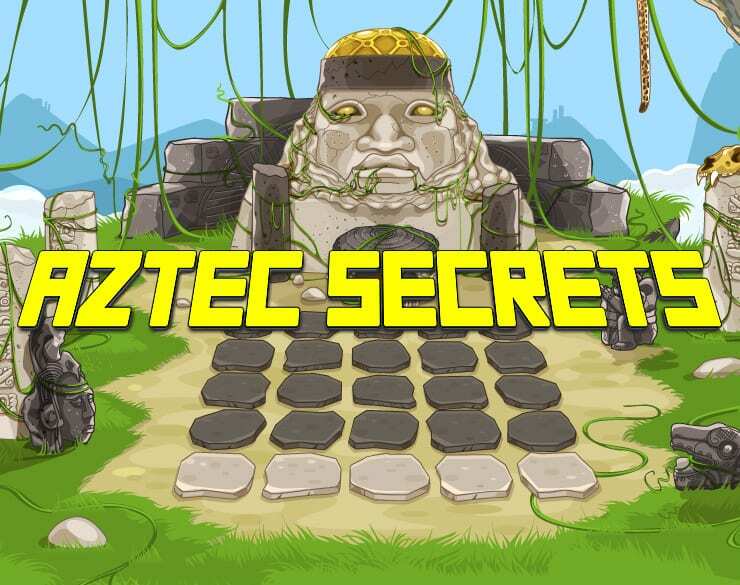 Aztec Secrets does a great job in balancing addictive gameplay atop a very outlandish graphics style, towing the line perfectly between accuracy and fantasy. 1x2 have quite clearly conducted the right amount of research before building this slot from the ground up, we can’t help but feel a sense of pride when it comes to just what these guys have achieved here. You may not have heard of developers 1x2 Gaming, but that doesn't mean that they don't possess all the tools required to create long-lasting experiences for all to enjoy. In recent years the company has taken a different approach in its business: now offering new opportunities in the online market for a wide range of audiences. View our slot games from 1x2 Gaming at Wizard Slots. This slot doesn’t exactly feature reels, instead, symbols simply fall into place. This is very unique from other slots out there that take players across a rather cut and dry experience over a set grid; a welcome change to online slot proceedings we feel. The background of this slot is cast apart from the chaotic gameplay with a blue sky that has but not a care in the world. Tranquillity has never looked so good if you ask us. Each of the symbols featured in this slot is very bold in how they are presented. Every symbol features a different numerical based value depending on how many are involved in the winning pay-line. We suggest multiple spins to fully utilise the man tools you have at your disposal. 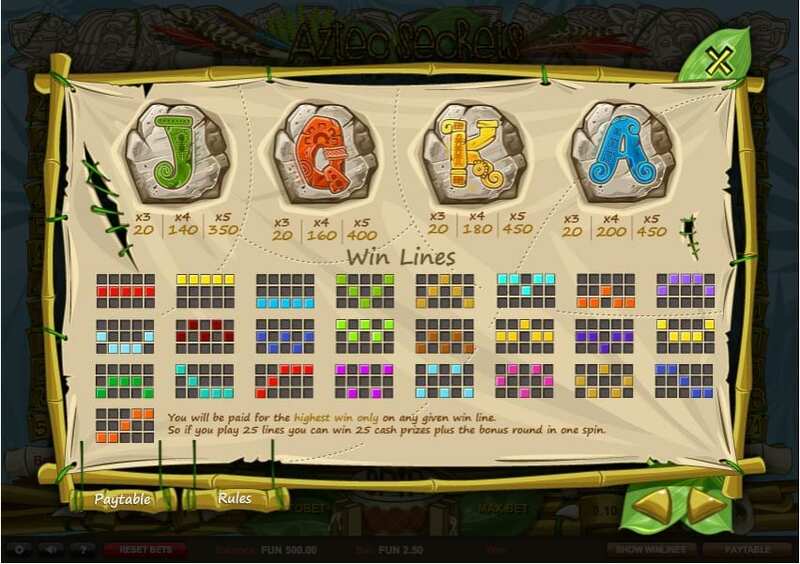 To help you pick the best slots, we prepared a helpful guide for players to learn more about slots. Symbols here include: Aztec warriors and animals that are clearly set out in their path, with the more colourful/extravagant the image, the higher that particular symbol pays out. There is a pretty eclectic soundtrack playing off in the distance in this slot. The soundtrack does a great job in adding to the immersion that you know and love. There is also the mute button for those that play in silence. Expect a variety of additional features to follow-suit here, including free spins and additional bonus rounds that can accumulate bigger scores for players who wish to push for them. Lay bare the secrets of the Aztecs in ways only deemed imaginable in this 1x2 Gaming mastered slot. Take a trip backwards in time to better your own pockets. What you have here is innovation in spades. This is a slot that leaves an impression, an impression that you’ll want to relive again, and again, and again. 9/10.